Mission Valley: Connect English Mission Valley is the main campus featuring a dynamic, energetic student body. The campus is located just meters away from a major public transportation center which offers direct, safe, and convenient access to all the major areas of interest in San Diego. 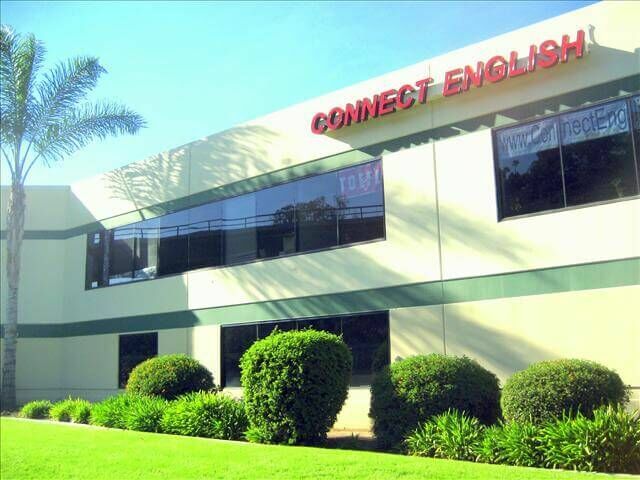 Connect English in Mission Valley has modern classrooms and a friendly and personable staff which will make your experience in San Diego memorable. The campus has a safe and open feel with a view of the hills surrounding Mission Valley. Regular activities both inside and outside the classroom offer students the opportunity to participate in fun, cultural, and academic events throughout San Diego.